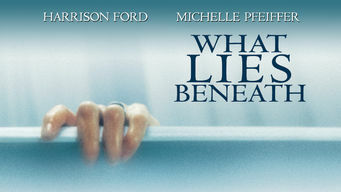 How to watch What Lies Beneath (2000) on Netflix Singapore! Sorry, What Lies Beneath is not available on Singaporean Netflix, but you can unlock it right now in Singapore and start watching! With a few simple steps you can change your Netflix region to a country like Australia and start watching Australian Netflix, which includes What Lies Beneath. We'll keep checking Netflix Singapore for What Lies Beneath, and this page will be updated with any changes. What Lies Beneath is not available in Singapore BUT it can be unlocked and viewed! When Claire Spencer starts hearing ghostly voices and seeing spooky images, her husband tries to reassure her by telling her it's all in her head. A traumatized woman sees things that aren't there. Or so her husband says. Then she realizes some visions are memories. There is a way to watch What Lies Beneath in Singapore, even though it isn't currently available on Netflix locally. What you need is a system that lets you change your Netflix country. With a few simple steps you can be watching What Lies Beneath and thousands of other titles!